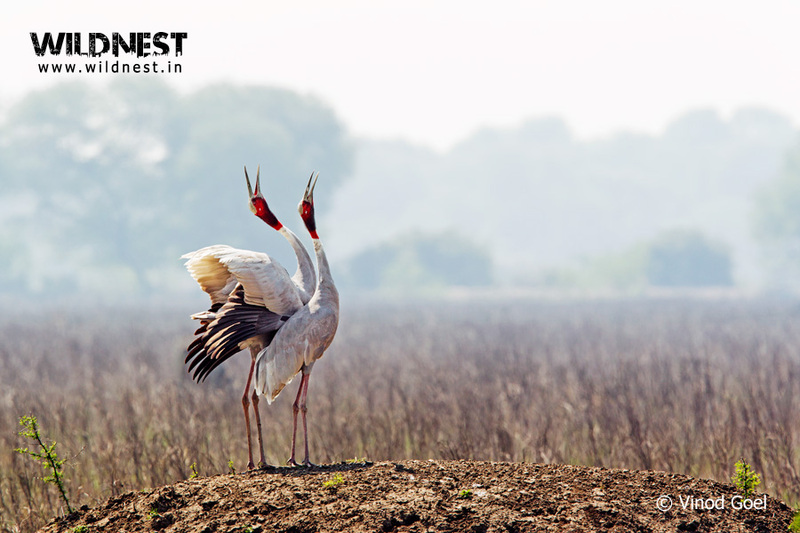 Keoladeo Ghana National Park or Bharatpur Bird Sanctuary as it was previously known, is one of the most famous tourist stops in India. Parked between the historical cities of Agra and Jaipur, the park receives over a lakh tourist – both human and avian, with avian visitors coming from places as far as Siberia, Europe, China and Tibet. Migratory birds are found in huge numbers here due to Keoladeo’s strategic position on the North-South avian route of India. During the hibernation season, the trees are over flowing with nests. A tree is observed to house up to fifty nests belonging to different species of birds. The park is also a UNESCO World Heritage Site owing to its incredible biodiversity. Hundreds of large, medium and tiny birds such as darter, cormorant, purple and grey herons reside here. One can see open-billed, painted, white-necked and black-necked stork, spoonbill, white ibis, night heron and other birds busy courting and mating. 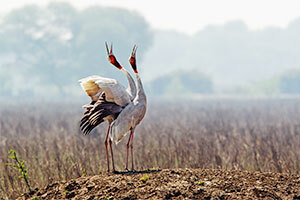 However, sarus cranes – the world’s tallest flying birds – takes the prize for the most wonderful display of courting. They come to the wetlands of Keoladeo when water is drying up elsewhere. One can see them in the park during the month of March and April but they leave as soon as monsoon sets in. Only a handful remains at the sanctuary in July. But it is a delight to see the mating pairs court each other, cooing and dancing during this time. Apart from 375 species of birds, the park also has a rich assortment of floral species – nearly 380 of them. The aquatic diversity too, is excellent. This is an important aspect of the sanctuary as the fish population is crucial to maintaining a steady food source for the birds. Reptiles and amphibians are aplenty. Certain poisonous snakes such as krait, cobra and Russell’s viper are also found in the park. One can spot herons, bee-eaters, quails, chats, partridges, bulbuls, grey hornbill, babblers. An impressive array of eagles are here too – short-toed eagle, Pallas’ sea eagle, tawny eagle, spotted eagle, Imperial eagle, and crested serpent eagle. Greater spotted eagle has recently started breeding in the wetlands. Shoveler, gadwall, common teal, tufted duck, cotton teal, comb duck, great cormorant, little cormorant, Indian shag, white spoonbill, ruff, painted stork, Asian open-billed stork, darter, oriental ibis, common sandpiper, wood sandpiper, green sandpiper, Siberian crane and Sarus crane are some of the popular birds in the sanctuary. Summers are hot with temperature ranging from 38°C to 48°C. Rainfall is less but sufficient and the temperature lowers to about 27°C. Winters are cold with average temperature around 10°C to 20°C with minimum going up to 3 degrees centigrade in late December and January with thick fog around. Visitors are advised to carry heavy woollens during winters and light cotton clothes during summer. The park is open throughout the year and timings are from dawn to dusk. 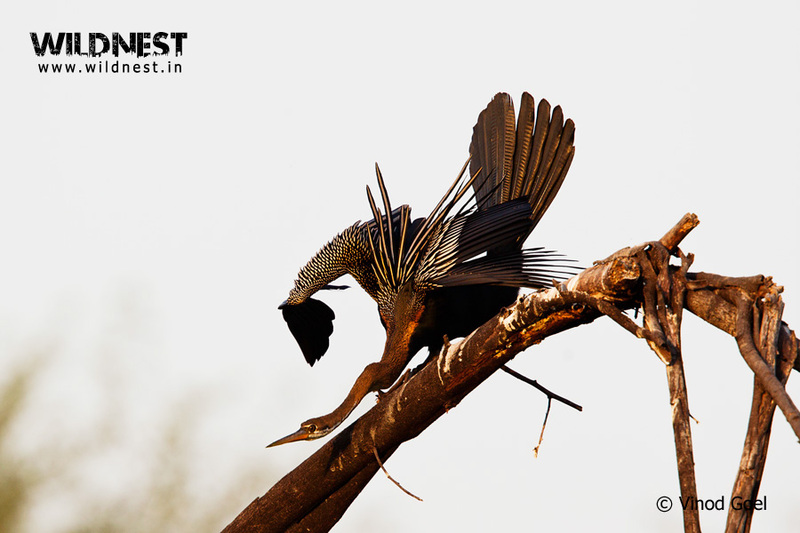 Monsoon is the time when maximum avian activity occurs in the park. July marks the beginnings. About 120 species of birds nest in this park. Some of them are painted stork, open bill stork, grey heron, sarus crane, darters, cormorants, egets, black headed, ibis etc. More than 400 species of birds have been recorded which includes migratory birds also. August to October are peak months for breeding. In late October, migratory birds start arriving and all arrive by mid December. Therefore best time to see large varieties of birds is from Mid-December to February. By March migratory birds including shovelers, bar-headed gees start their journey to their breeding grounds in Himalayas or Central Asia. From March onwards, breeding season of local birds starts and start becoming hot. One of the smallest parks (just 29 sq. km) having more than 400 species of birds. It is a gem in India’s ecological crown and one of the richest wetland habitats in world. About 120 species nest in the park. Apart from birds, one can see sambar, cheetal, jackal, neelgai, wild boar, porcupine, fishing cat, here etc. One of the best places to see rock pythons, barking deer in the sun during winter. 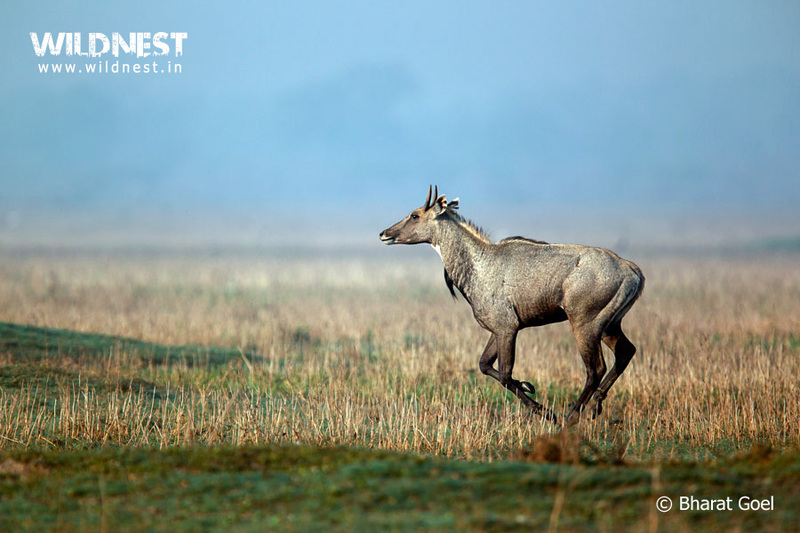 Bharatpur or Keoladeo Ghana National Park is connected with an excellent network of roads to all the major cities of the Rajasthan as well as the neighboring states like Haryana, Delhi and Uttar Pradesh. Cities like Agra (60-kms, 1 hour), Delhi (190-kms, 4 hours) and Jaipur (180-kms, 3 hours) are well connected to Bharatpur. The railway station at Bharatpur is about 5 Kms from Keoladeo Ghana National Park and is well connected with all the major cities like Delhi, Mumbai, Jaipur and Agra. The nearest airport is at Agra, which is 60-kms away. Other airports include Jaipur (180 kms) and Delhi (190 kms) and are well connected to other major cities in India.